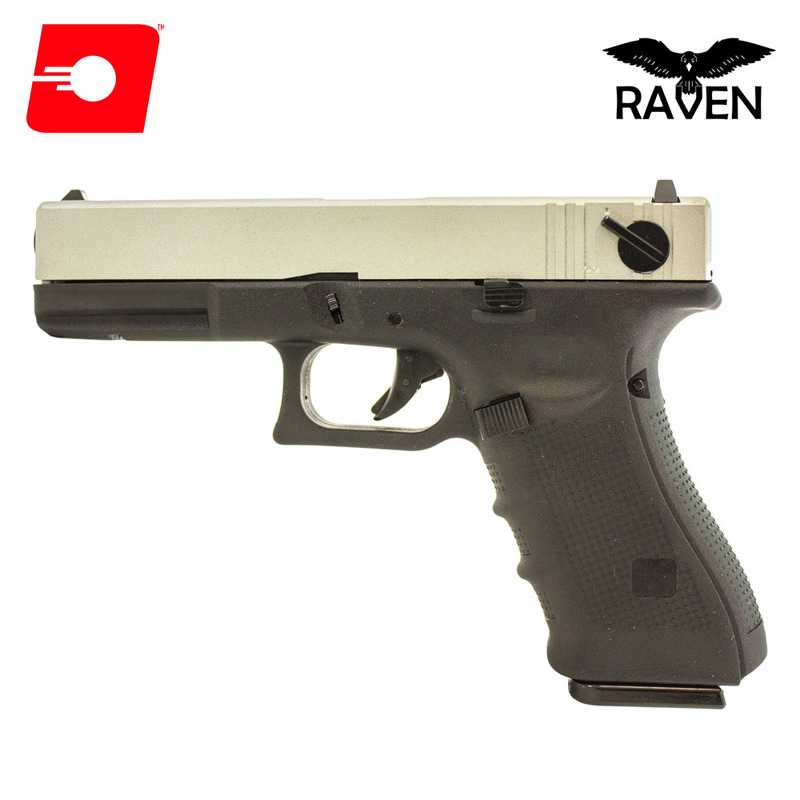 Raven is a new label from Nuprol and this EU18c with a select fire is a cracking bargain to start the new line of products. 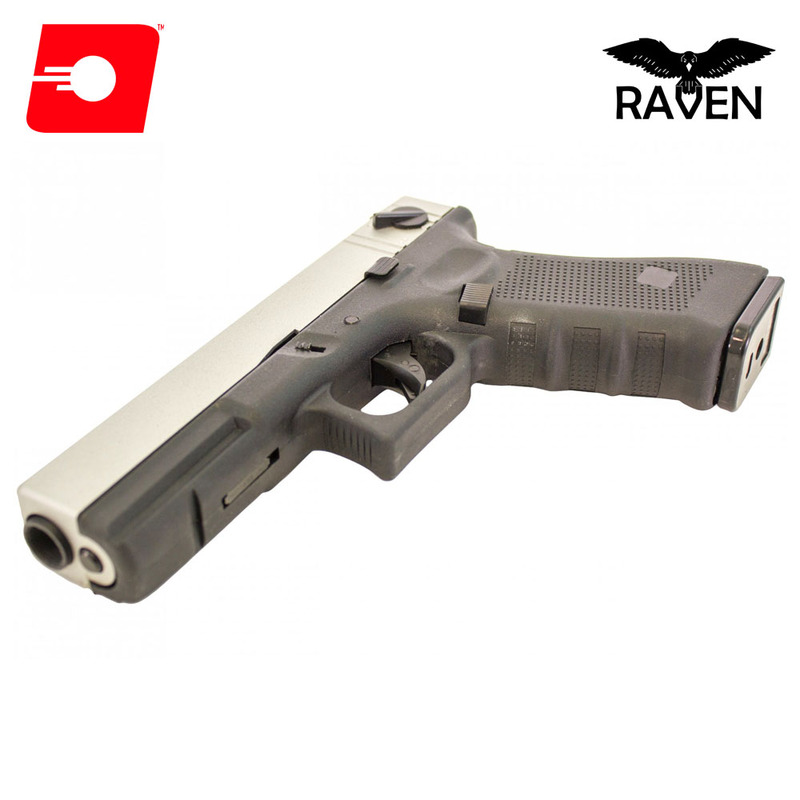 It is a full size pistol capable of both semi and fully automatic fire. It also comes with 2 Interchangeable Back Straps which allow the user to alter the size/shape of the frame to suit different size hands (3 option in total). 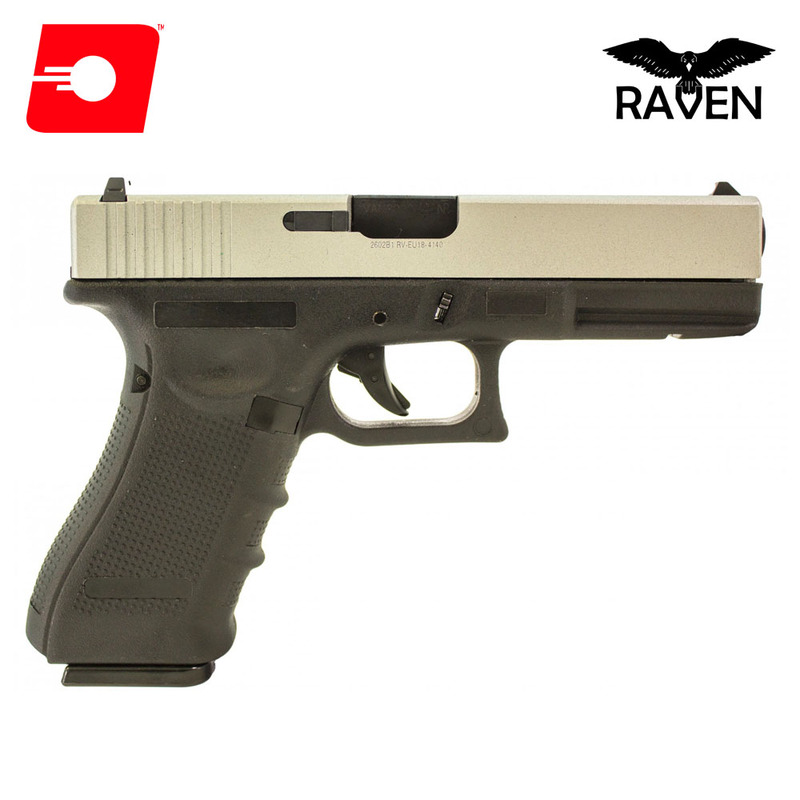 Larger capacity magazines are available should you favour these guns full auto capability.